Please call for availability of chip sizes. Terrazzo flooring has a long and rich history that dates back over 1500 years. The word Terrazzo originated from the Italian word for terraces. It was created purely by chance by Venetian marble workers. During the 15th-century workers discovered a new use for discarded chips from slab marble. They began setting odd size marble pieces from paying jobs in clay to surface the terraces around their own homes. The results were amazing. Throughout time, the process evolved and we now use glass, granite and quartz along with marble chips. The combination of beauty, durability and low maintenance has led to a renaissance in the use of terrazzo over the past decade. Today, terrazzo flooring continues to provide the ultimate in durability and low maintenance, typically lasting the life of the building. Choosing carpeting over terrazzo flooring may be a cheaper choice now but over time it becomes just as expensive as a terrazzo floor if not more. Carpeting doesnt last forever, while a terrazzo floor technically does. Terrazzo flooring is durable and typically outlasts the life of a building itself. 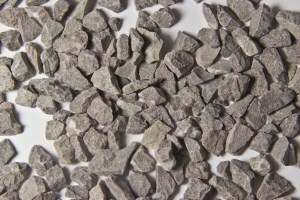 The aggregate (chips) used in terrazzo includes all calcareous, serpentine and other natural stones capable of being ground and taking a good polish (e.g. marble, onyx, etc.). Some other materials such as quartz, granite, quartzite and silica pebbles are suitable for those finishes that do not require polishing, such as rustic terrazzo. Glass is the newest rage in terrazzo chip. 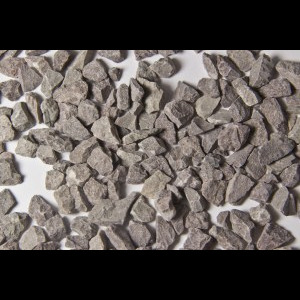 Terrazzo & Marble Supply offers a wide selection of glass chips in a variety of sizes. Ask our terrazzo team how glass chips incorporated into a terrazzo floor can be considered for LEED credits. A finished terrazzo floor has a minimum of 70% chip density on the surface. Chips are graded by number according to size in conformity with industry standards. Terrazzo composed of #1 and #2 size chips is referred to as standard. Patterns utilizing #3 through #7 chips are referred to as venetian. T&M carries domestic chips, imported chips, recycled glass and porcelain and concrete chips in all sizes. Colors range from the whitest of white to the blackest of black. T&M has been supplying terrazzo contractors with quality aggregates for over 75 years.